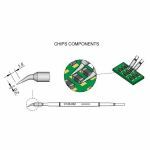 Howard Electronics offers a wide range of JBC Tools Soldering, Desoldering, SMD, Multi-Lead, Cartridge Tips to meet your needs. JBC Tools has over 400 soldering tip cartridges in the C245, C210, C105, C130, C250, C120, C420, C470, C360, and C560 series and offers different sizes and shapes to choose from. 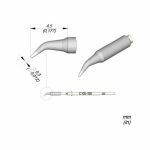 All JBC Tools Tip Cartridges have instantaneous heating with a fully integrated thermal sensor to the heater which ensures a quick temp recovery. The JCB Tools Series Tips last 5 times longer than other brands thanks to the Exclusive Heating System and the Sleep & Hibernation features. 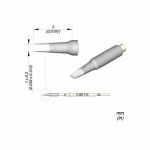 Scroll down to see all JBC Tools Tip Cartridges. 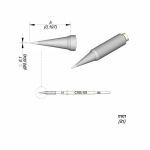 All JBC Tools Cartridge tips are Lead Free! 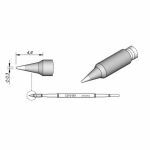 Purchase a JBC Tools Soldering Tip Cartridge from Howard Electronics Today!